Researchers from the University of California at San Diego have found the best defense against infections from MRSA and other hospital-acquired infections. Hint: We are already wearing it, unless we kill it off with antibiotics. 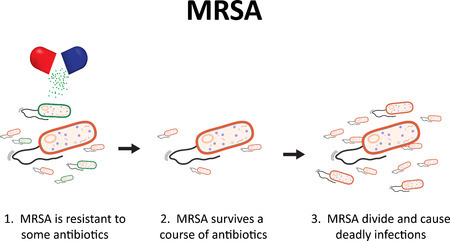 As the battle against superbugs like MRSA and other hospital-acquired infections rages on, researchers have found oils derived from certain plants beat antiseptics chlorhexidine and ethanol in inhibiting antibiotic resistant bacteria.